"I am beautiful and black. I am smart. I am funny. I am vibrant." 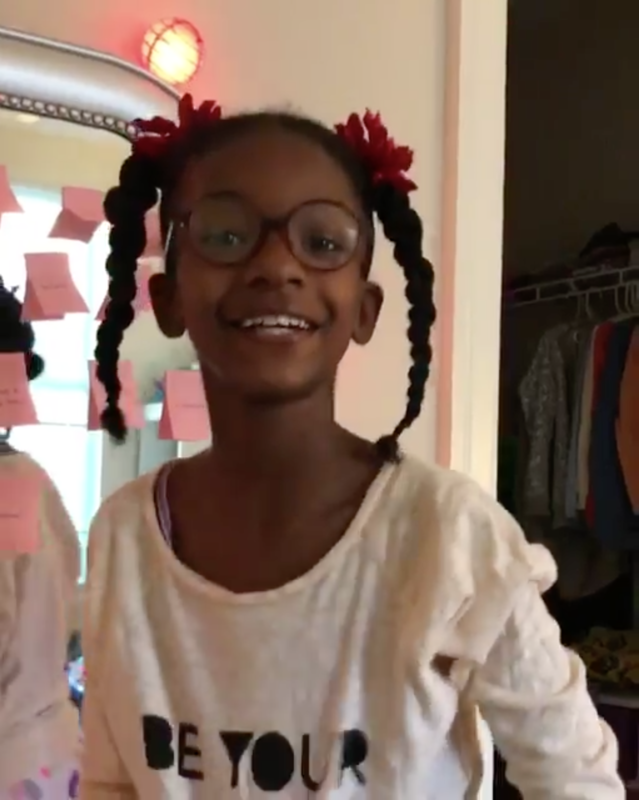 After her daughter was bullied on the bus for her skin color, a mother from Maryland came up with a perfect self-love exercise to boost her daughter’s self-esteem. The sweet video has since gone viral on Twitter, where it has been retweeted more than 113,000 times since it was posted on Saturday. 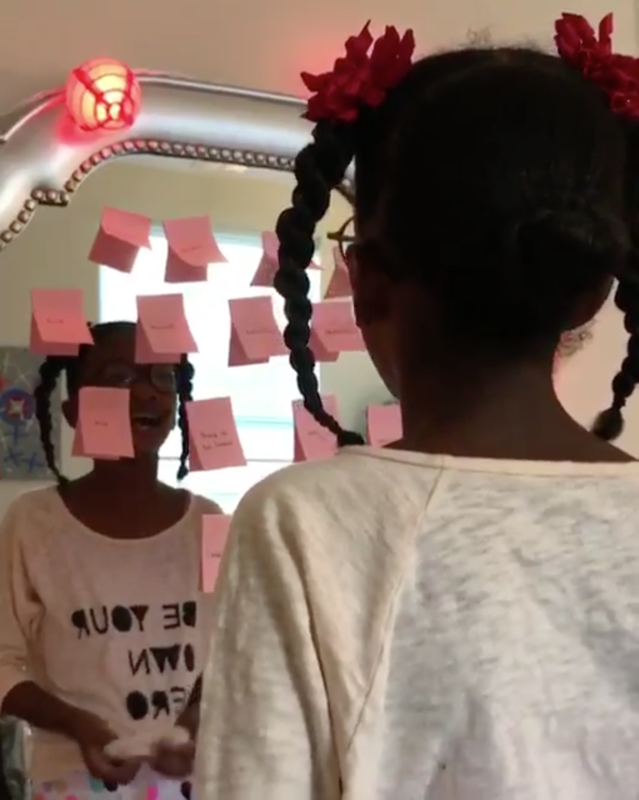 In the video, 8-year-old Charleigh is seen looking in the mirror and reading positive messages about herself. Alexandra Elle, 27, told BuzzFeed News that Charleigh called her after school last week, crying and saying, "Mama, kids were bullying me on the bus." Elle said Charleigh then explained a few other kids were calling her names and commenting on her skin color. “As a mother, I know that kids will be kids, but it didn’t sit well with me that Charleigh was being made fun of for being brown,” Elle said. Elle, who does self-care sessions with adults, said she then decided to do the self-love exercise with Charleigh because she could tell her daughter was still a little bothered by the comments. Elle said Charleigh is a sensitive kid and that although she felt a little better the next day, she did opt out of riding the bus home. “I wanted to make sure she knew that no matter what, who she is cannot be broken by hurtful speech, even when it feels like the opposite,” Elle said. She added that she felt it was important for children to have gentle reminders to fall back on and keep close in certain situations. “It won’t solve every problem, but it will help with some,” she said. Elle said that Charleigh enjoyed the exercise, and the goal is to have her read the sticky notes every morning after she gets dressed. The video brought people to tears. They are also pointing how just how beautiful and important it is. People have even created art in support. “Also, representation matters, and I am glad my kiddo and I could serve as an inspiration to so many,” she added.